WHERE DO STRAW ITCH MITES NEST? Straw Itch Mites are a very small parasitic mite which lives on the larva and adults of other small insects. They attach themselves to the host insect and feed off their bodily fluids. Such host insects are typically some type of stored product pest like rice weevils, sawtooth grain beetles, flour moths, flour beetles or bean weevils just to name a few. However, Straw Itch Mites can live on other types of insects as well including roaches and powder post beetles. The author suspects the list of insects which are known to harbor Straw Itch Mites is small compared to the list of insects which they actually infest. This is probably happening because Straw Itch Mites are generally never noticed and only when they turn their attention to people or pets do we ever recognize their existence. In most cases the straw itch mite populations are killed off when pest control is done to control their host. As the host pest dies off so to do the itch mites. For this reason there is an undoubtedly longer list of insects on which straw itch mites can live. Straw Itch Mites are fascinating creatures. They are small; so small are Itch Mites they are invisible to the naked eye. But they can be viewed using a microscope. Straw Itch Mites are parasitic. They live on bodily fluids of other insects and will occupy the same nest sights including boxes, cabinets, furniture, clothing, carpeting, mulch, crawl spaces, insulation, turf, wall voids and just about anywhere insects are found to live. Though stored product pests – pests which typically feed on grain and wheat products – are the primary pest Itch Mites are thought to attack, there is overwhelming evidence to support the theory that they can live off most anything that crawls or flies. Adult itch mites will typically crawl onto any larva of a host insect and females will immediately start to produce eggs. Though it was once thought their life was but one day, many experts now believe they probably live for several days during which time females will produce 200-300 eggs. The egg producing has two key characteristics which make the development of the itch mite both unique and persistent. First, females will start to lay eggs immediately upon finding a target host and has started to feed. She will do this whether a male has inseminated her or not. Second, her young will develop inside her and go through all stages of development before they ever hatch! Only when they are fully mature will they emerge and at this time they are ready to eat and reproduce! This whole process usually only takes a day when temperatures are ideal which is about 70-80 degrees. As they emerge, they will immediately start migrating to other members of the host’s nest. It is during such times that itch mites make themselves known to people and pets. As the itch mite population grows while feeding on it’s hosts, there will either be enough in the host colony to support the increasing itch mites or else the mites will migrate in search of another host. When such migration occurs in the home or yard, the itch mites will become a very major pest to both people and pets. Though they don’t attack for blood, itch mites eat flesh and pierce the skin of people and pets seeking bodily fluids. It is very common to find itch mites in pine straw or wood chips used for mulch. Many homeowners have brought such mulching materials home only to get bit once they start setting it out! The bite of an itch mite can cause a wheal or pustule to form and will generally itch. Since itch mites cannot be seen, they are not detected until one has been bitten many times. 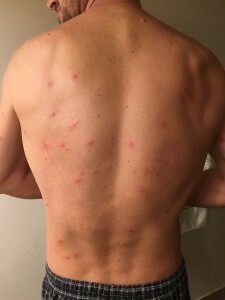 Reactions to being bit are usually pretty immediate and though not life threatening, itch mites will cause a great deal of discomfort, swelling, redness of the skin, itching, blotches and other reactions which most people would guess could have happened from a mosquito, chigger, bedbug or flea. What makes these mites frustrating is that you generally don’t know they’re present until you start being bit. However, there are several scenarios which can lead to a quick outbreak of itch mites that happen around most any home. First, on the outside of the home, there are several common ways itch mites can become active. 1) Pine straw is a common carrier. This is because pine borers are common hosts for itch mites. Pine borers live in and on pine trees and will readily support a population of straw itch mites. Consequently, pine straw which is harvested for mulch will invariably have some batches that are filled with itch mites. These batches are then transported to the local nursery from which unsuspecting customers pile them into their pickups and Suv’s. Only when they get home and start setting out the straw do they find out just what else they brought home. 2) Wheat straw or hay commonly carries itch mites as well. This is due to the wide range of grain beetles and weevils which readily feed on wheat and other products on farms where wheat is harvested. Baled wheat will include the itch mites which then are brought to homes as the wheat is used in lawns, for seasonal landscaping, for animals quarters or for animal food. 3) Wood chips almost always have some type of boring wood beetle itch mites will readily prey upon. Though such mulch is desirable to pine straw because it will last longer, the accompanying itch mites which are sometimes included are never expected or wanted! In the home, itch mites have many paths or ways to infiltrate. Though the most common way is through pantries, garages and living areas are just as likely a route. 1) Pantry pests are the most common host for itch mites and just about any stored food product available at the grocery store can harbor pantry insects. With these insects come the itch mites. As the pantry pests move about and relocate leaving the food supply on which they arrive, so too do the itch mites. Typically someone will start getting bit which is the first sign the itch mites are migrating. More common is the activity which follows pantry pest treatments. Such treatments are essential to solving the pantry pest infestation but will many times lead to an itch mite breakout. 2) Garage and laundry room infestations can occur because people are now more inclined than ever to have quantities of lawn and bird seed. These seed containers are even more likely to have some type of stored product pest like sawtooth beetles or flour beetles. 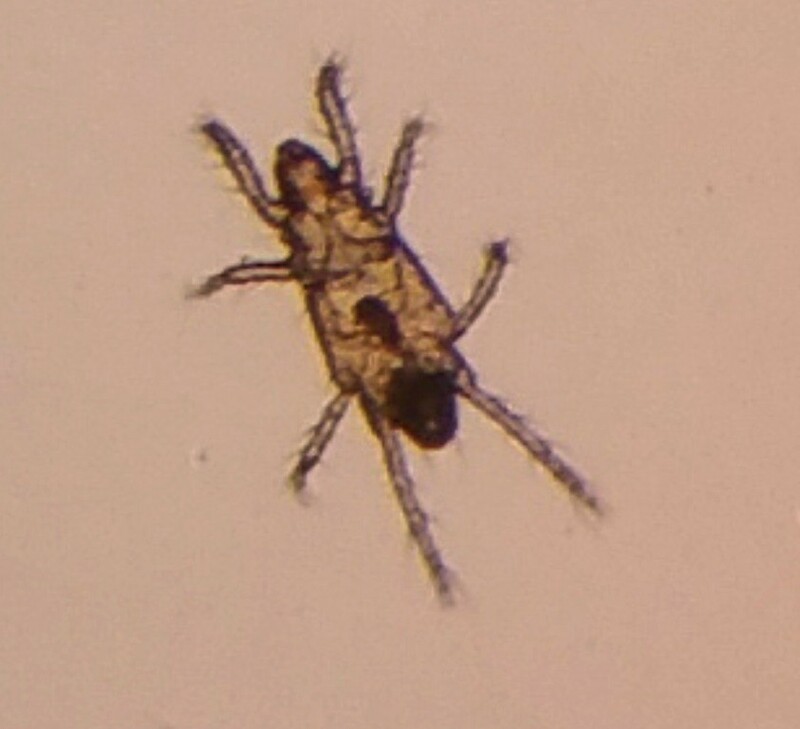 Itch mites will live on such insects and readily forage about as their population increases leading to encounters with occupants of the home. 3) Pets like horses, rabbit, hamsters and other animals which have pens or areas where straw or some type of bedding is available all present common locations where populations begin. Many times such bedding harbors the itch mite and upon installation the mites will start to forage looking for a quick meal. Though the pet may be the first to get bit, many times they don’t let their owners know what is happening until the mites have moved out and about. Common areas for this to happen or in barns, kennels, cages, sleeping areas and crawl spaces. 4) Furniture is another common nest sight of itch mites because itch mites will regularly feed on wood beetles like the powder post beetle. Carpet beetles, Khapra beetles and Cigarette beetles are some of the common hosts which will regularly feed on fabric and itch mites will attack them as well. Once established on the fabric of furniture, itch mites will be able to find people quickly. Carpeting, pet bedding, mattresses, wall voids where insects or animals have been living, attics, groceries from the store, clothing, landscape supplies and other objects which are generally brought home can all serve as vectors on which itch mites can arrive. If you suspect itch mites are present in or around the home, there are many ways you can go about treating such infestations to quickly knock them out and stop the biting. Itch mite bites are painful. They not only hurt, they itch. If you have itchy bites, use STING RELIEF BITE SWABS for fast relief. First, it will take the itch away and second, it will promote faster healing. This product also helps for stings from wasps, scorpions, fire ants, bees and more. Each kit comes with 10 swabs, each are individually wrapped up and sealed so you only need to expose one at a time when needed. Great for first aid and when going camping or traveling somewhere biting pests might be active. 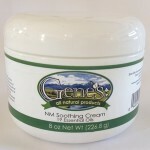 Once the itch is gone, use GENE’S SOOTHING CREAM to promote fast and proper healing. Using all natural ingredients, Gene’s cream will keep your skin comfortable and during the healing process so you don’t pick scabs or think about the wounds as they get better. This allows them to heal properly and completely. If you don’t have itch mite bites yet but suspect they’re in the area, treat clothing with PERMETHRIN AEROSOL. 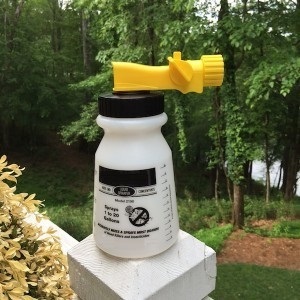 This product is easy to use and the active will keep a range of pests away including fleas, ticks, chiggers and mites. It’s easy to use, won’t stain, has no odor and is safe for people and pets. It just takes a few seconds of spray to treat pants and can be applied 1-2 a day when going afield. One can is enough to treat your clothing several times. For the skin, use 100% DEET. It will last the longest and work on most any biting pest including mites. Once straw itch mites are in the yard or home, you’ll need to blanket the infected areas to ensure critical pockets of mites aren’t missed. There might be main nest sites but once they spread, its important to get as many surfaces as possible so none are left. Itch mites don’t travel far and will lay in wait for target hosts. Treatments are available a few forms. Liquids can be sprayed or fogged and will prove most effective but for small jobs and spot treating, there is an aerosol that’s handy and effective. For large yards needing itch mite treatment, broadcast TENGARD over the turf at a rate of .5 oz per 1000 sq/ft of turf when using a liquid. At this rate, you’ll need 2.5 oz per 5,000 sq/ft so a quart jug will cover up to 1.5 acres. 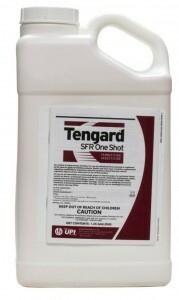 Tengard is odorless and easy to work with. Allow 1-2 hours of dry time before people re-enter the area so the treatment has enough time to work. For animal hay or garden plants that will yield edible fruit or vegetables, use MULTI PURPOSE INSECT KILLER. This product has just 1 day to harvest so its safe enough for use on anything edible yet strong enough to kill itch mites. Mix 6.5 oz per gallon of water and plan on getting about 500-750 sq/ft of coverage per mixed gallon of spray. Treat as needed which could be as often as once a week for the first few weeks when first starting your treatment program. Another “green” option is ESSENTRIA IC. Using essential plant oils, Essentria is safe enough to be applied over water like ponds, streams and lakes. It can even be applied directly to animals for a range of biting pests. For this reason Essentria is well suited for use in areas where animals forage and might be consuming plants that get treated. Essentria will control itch mites along with many other insects so its a good option for use around the yard and farm where animals live and itch mites are problematic. Mix 4 oz per gallon of water per 1,000 sq/ft of turf. Retreat as needed. In general, this will be once every 7-14 days for the first month until the problem is under control. There are several sprayer options for the concentrates above. They all work well but in general, the best one for the job will depend on how large of an area you need to treat. For small jobs or use in the home, a good PUMP SPRAYER will do the job. This basic sprayer is easy to operate and a good choice for treating 3,000 sq/t or less. Basically its a fine choice for a small yard or for use inside the home. For yards 5,000 sq/ft or more, go with our HOSE END SPRAYER. This one is will accept the chemical and water and then using any standard garden hose, you can water out the treatment over the yard and garden. When using this with Tengard, you’ll need to add 2.5 oz of chemical to the tank and then fill it to the 5 gallon line. Spray the entire amount over 5,000 sq/ft. When using it with Essentria, add 20 oz of Essentria to the sprayer tank and no water. Now spray the entire amount over 5,000 sq/ft. One of the best ways to treat for itch mites is to fog. This process is much easier to do compared to using a liquid spray and its more thorough. Mites are small and are easy to miss when liquid sprayer. But with a good fogging machine, you can get all surfaces effectively because the mist will deliver the active where it matters. For small jobs like in the home or a yard 5,000 sq/ft or less, the MINI FOGGER will be strong enough to handle the task. It features a 32 oz holding tank and can pump out 2-3 oz per minute. 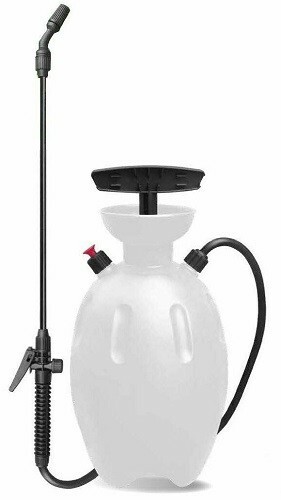 Using this fogger will let you use less chemical compared to using a liquid and yet you can still get the job done. So for a 5,000 sq/ft yard, you can cover it using this fogger and just 32-64 oz of chemical instead of 5 gallons of mixed product using a sprayer. The only real limit of the machine is that you need electricity to power it on so you will need a long extension cord when fogging. For yards 1 acre or less, the FM6208 is a slightly larger unit that can handle the job. It features a 1 gallon holding tank, is run by electricity but can pump out 8+ oz per minute. For most yards it will take 1 gallon of mixed material for every 1/4 acre so plan on using 3-4 gallons per acre. This machine can be used in the home too. 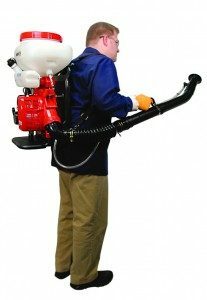 If you have more than an acre to treat, a BACK PACK MIST BLOWER is probably your best option. These are gas powered, have 3+ gallon holding tanks and pump out product super fast. Most any acre can be covered with just one tankful so you will use a lot less product and save time. To pump out 3 gallons of product takes under 3 minutes. Not recommended for use in the home, these machines are for outside use only. But they can also be used as a leaf blower since you don’t have to blow chemical when using them. Treating inside the home can be done using the TENGARD or ESSENTRIA listed above. When using the Tengard, add 1 oz of chemical to a gallon of water and using the PUMP SPRAYER above, apply the mixture over 1,000 sq/ft of carpet and furniture. When using ESSENTRIA, add 4 oz to a gallon of water and spray that over 1,000 sq/ft of carpet and furniture. For any surfaces you don’t want to spray with a liquid, spot treat them with FLYING INSECT KILLER. Labeled for mites, this spray has an odor but it will dissipate within an hour with normal ventilation. Lightly mist fabric and expect to get coverage of 2,000 sq/ft per can. This product is water based so it if you over apply it, just use a paper towel to remove any excess moisture. If itch mites have found their way onto clothing and/or bedding, wash them with KLEEN FREE. This product is generally used as a laundry detergent additive when lice are being addressed but it works just as good on other insects like mites, fleas, ticks and chiggers. Be sure to treat the areas where the washed clothing or fabric is kept before returning the clothing so it won’t get reinfected. Kleen Free can be used as a laundry soak or as a detergent replacement. Add 2 oz per gallon of water when using it as a soak. For laundry wash cycles, add 4-6 oz per load. Itch Mites can be a terrible nuisance once active in the yard or in the home. Use Sting Relief Swabs to reduce the discomfort from their bites. Gene’s cream will help heal the wounds. Keep mites off your clothing and skin by treating garments with Permethrin Aerosol and skin with 100% deet. If activity is noted around the home, treat with Tengard or Essentria. Both can be used in the home too but for sensitive areas, spot treat with Flying Insect Killer which can also control mites. Lastly, keep clothing and blankets mite free by washing clothes and bedding with Kleen Free. I believe I have my home infested by bird mites. How can I rid myself and my home? Do you have pics of bird mites? I have an infestation of hay mites. What can I spray the hay with to get rid of the mites that will be safe for the horses to still eat the hay? There are plenty of products that can be used on hay mites that won’t pose a hazard to animals who feed on it. First, anything approved for organic gardening and labeled for use on edible fruit or vegetable crops can be used. Keep in mind these products won’t solve the problem but they will decrease the amount of mites you’re feeding your cattle/livestock. A good example of this would be Insecticidal Soap. Now if you wish to treat with the hopes of knocking out the mites, Permethrin will prove to be longer lasting and still safe for the animals. And the label to go with is the Vegetables Plus Permethrin. Either material will work; the Vegetables Plus is actually labeled for use on animals for fly control and is the better choice overall.